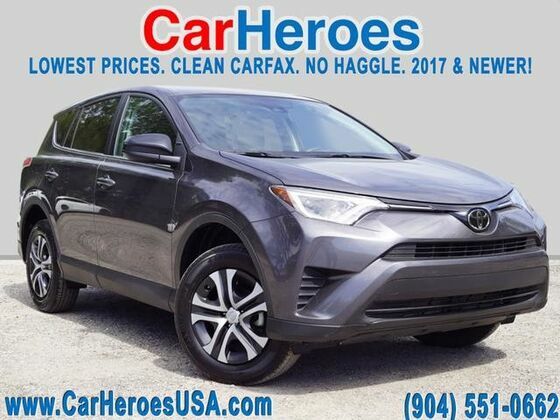 CarHeroes has a wide selection of exceptional pre-owned vehicles to choose from, including this 2018 Toyota RAV4. This Toyota includes: MAGNETIC GRAY METALLIC BLACK, FABRIC SEAT TRIM Cloth Seats RADIO: ENTUNE DISPLAY AUDIO HD Radio CD Player Back-Up Camera AM/FM Stereo Satellite Radio Bluetooth Connection Auxiliary Audio Input MP3 Player *Note - For third party subscriptions or services, please contact the dealer for more information. * How to protect your purchase? CARFAX BuyBack Guarantee got you covered. This Toyota RAV4 LE is an incredibly versatile vehicle that is a "must have" for any family. Driven by many, but adored by more, the Toyota RAV4 LE is a perfect addition to any home.